Cinnamon flavored whisky is all the rage at the moment and its my friend Katharine’s favorite bottle to bring to a party. 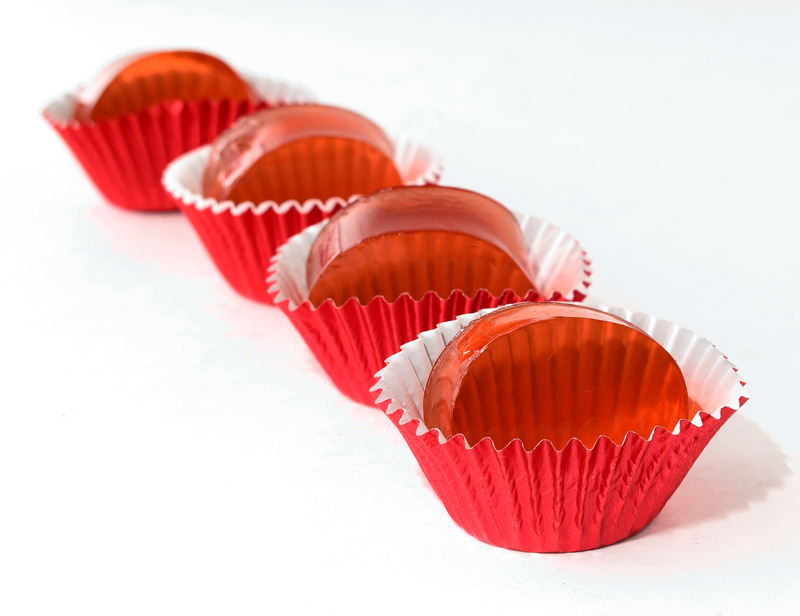 So when she threw an end-of-winter party, I had to bring some Fireball Shots of my own… jello style! Akin to the Atomic Fireball candy we all chipped a tooth on as a kid, this jigglier, boozier version is all whisky and ginger ale. They were a smash hit at Katharine’s party and a fiery way to usher out the winter and welcome warmer weather. Happy Spring everyone! Pour the ginger ale into a medium saucepan and sprinkle the gelatin on top. Allow the gelatin to soak for 2-3 minutes, then begin to heat on low, stirring constantly until gelatin is fully dissolved (about 5 minutes). Remove saucepan from heat and allow to cool to room temperature. Stir in the whisky and a few drops of red food coloring. Pour into a 13×19 or equivalent sized pan refrigerate overnight until firm. Dip the pan in warm (not hot) for 15 seconds to loosen he gelatin. Use mini round cookie cutter to cut out the shapes and serve. oh Lord, this could cause me trouble. Remembering the idea anyway.